Lion's Mane is a medicinal fungus with a characteristic "fuzzy" appearance resembling that of a lions mane, or perhaps the head of a mop. It's found in temperate forests in North America, Europe, and Asia. The medicinal benefits of this fungus mainly involve the nervous system. It's also a popular culinary species with a falvour resembing that of lobster. In recent years lion's mane has caught the eye of the nootropic industry for its ability to upregulate nerve growth factor. How Is Lion's Mane Used? Lion's mane is mainly used for neurodegenerative disorders like dementia and multiple sclerosis. It's also popular as a nootropic agent for supporting optimal cognitive function long term. The Hericiaceae family of fungi are saprophytic, and normally grow in cooler, mountainous regions across the globe. It contains a number of species used medicinally and nutritionally. Hericium spp. has characteristic "tooth" structures on its fruiting body, giving it a hair appearance. Lion's mane has many uses, but the most well-known is as a neuroprotective, and nootropic benefits. It's useful for neurodegenerative disorders including multipple sclerosis, Alzheimer's disease, and Parkinson's disease. Other uses include depression and anxiety, cancer, diabetes, gastrointestinal infection, and fatigue. Caution advised with any blood clotting conditions or medications due to possible agonistic interactions. Rhodiola was made famous by some earlier research done by Russian scientists in the 1960's. Although a lot of this research still hasn't been released to the public, there has been a lot fo new studies put forward to make up for this loss. 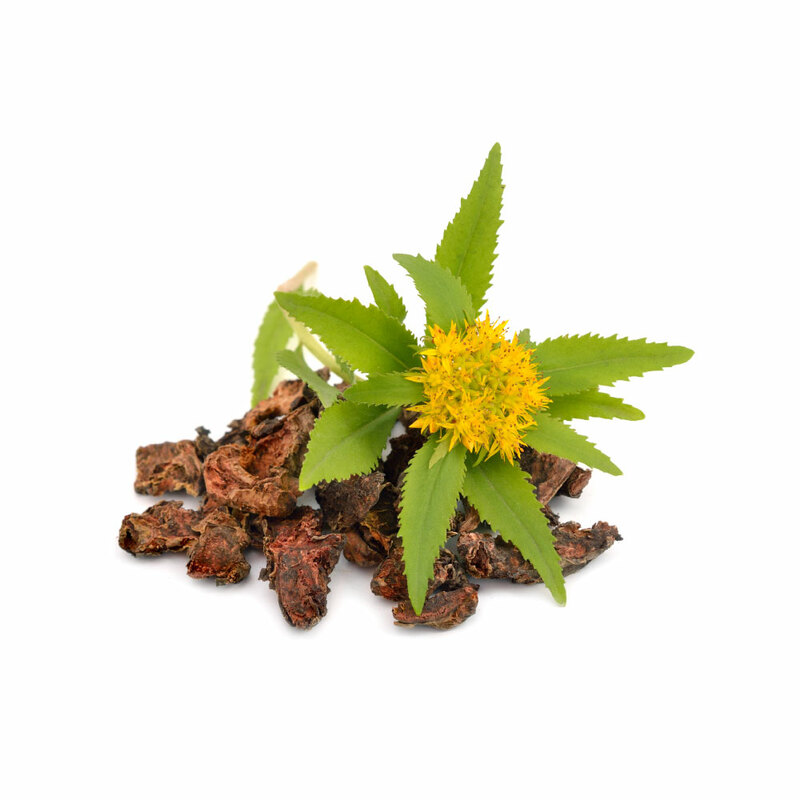 Rhodiola is well revered as an adaptogen for treating fatigue, cognitive decline, depression, and for athletic enhancement. It's considered to be a mild stimulant, though it doesn't produce the "wired" feeling many other stimulants produce. It increases energy levels and makes us more tolerant to stressful situations. Although there is still a lot of research lacking, we know that Rhodiola can reduce cortisol levels in the body after exposure to stress, however, the details on how this interaction exists is still not well understood. There is also a great deal of confusion around which chemicals are active in the herb, some studies showing the rosavins, others tyrosol and the rhodiolasides. A result from this confusion and dispute is a wide range of differentiation between the "standardised doses" of this herb. Each manufacturer tends to have a preference for one chemical group over the other in their products. Rhodiola rosea is mainly used for its adaptogenic qualities, especially those specific to lowering cortisol levels. It's reliable for improving fatigue in debilitated or chronically fatigued people, as well as those experiencing generalised adaptive disorder, depression, or acute periods of extreme stress. Its a popular nootropic additive for increasing focus and mental endurance and is popular among athletes for increasing physical endurance as well. Although Rhodiola rosea is the preferred species used, their are a number of species used in various indigenous medical systems such as Rhodiola alterna, Rhodiola brevipetiolata, Rhodiola crenulata, Rhodiola kirilowii, Rhodiola quadrifida, Rhodiola sachalinensis, and Rhodiola sacra. The Crassulaceae family contains 34 genera, and 1400 species. Most of the plants in this family can be found in cooler climates. Another medicinal species in this family is Kalanchoe. Rhodiola serves as a reliable adaptogen with little to no side effects noted in any of the studies listed. It's useful for those suffering from high stress conditions, chronically fatigued, or depressed. Its also useful for increasing athletic performance in athletes, and reducing the chances of being affected by altitude sickness when travelling above 2500 metres. Caution when using Rhodiola with mania as the mental stimulation may produce negative side effects.